At last the efforts of Kaziranga National Park officials shows it results. As per the latest census carried by Assam Government says that there is a remarkable increase in number of one horn rhino in the Kaziranga National Park. According to the last census conducted on April recorded 2,290 rhinos in Kaziranga National Park which increase to 2,329 this year. Among 2,329 rhinos there are 645 adult male and 684 adult females. The increase of 39 Rhinos in just 11 month is a record in itself. Last year 12 rhinos were killed by poachers, even there is no respite this year as 13 more have been killed since January this year. Although it is good news for all nature lover when the count of endanger animals increases. We hope the number keeps on increasing. United 21 Grassland Resort, Kaziranga congratulate all Kaziranga National Park officials for their efforts to save one horn rhinos. Rivers are supposed to hold prime importance in the lives of Indian population. In the mythological legends rivers are are availed the status of goddess. Rivers like Ganga are supposed to be sacred and its water is carried to distant places for using it in the religious rituals. The country is blessed with many great rivers like Ganga, Jamuna, Gomati, Kosi, Gandak, and Brahmaputra. These rivers are mainly useful in irrigation, transportation purpose and even they provide drinking water to the surrounding regions. Brahmaputra River in India is supposed to be the pride of Assam. River Brahmaputra is the lifeline of Assam, with its origin located in the Angsi Glacier in Himalayas. 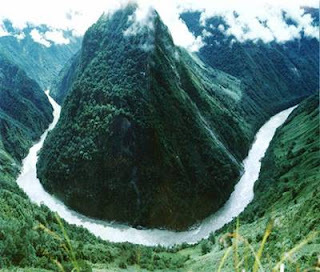 Here it is known by the name Yartung Tsangpo River. During its long journey crossing many states and territories it travels southwest through Assam valley, where it is known as Brahmaputra. During its journey while traversing through Arunachal Pradesh it is called Dihang. Proceeding further it gets submerged into the river Padma which is the main tributary of river Ganga. This great river around 2900 km long plays important role in irrigation and transportation in Assam valley. This great length of Brahmaputra River, offers it the title of longest river in the world. Apart from its benefits it is cursed many times for flooding the surrounding region. 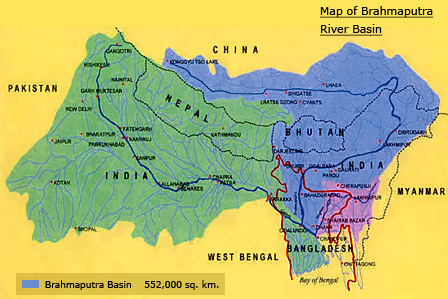 Brahmaputra river map clearly shows its route passing through many regions. Brahmputra River cruises are a fascinating attraction for the tourists to enjoy an incredible ride of the surrounding region. Compared to ocean cruise river cruise is the most interesting way of reaching the interiors and viewing absolute beauty of the region. During the journey in a river cruise tourists get a better idea of culture and historic wonders of the region. Enjoying unique river side scenery and exclusive night life of the region is another advantage of traveling on a river cruise. Ships used for river cruising in Brahmputra are medium or small ships. This makes it possible for the cruise staff to pay attention to limited passengers on board and creates a tranquil ambience while cruising through this river. There are chances of joining excursions to nearby places or availing shopping pleasures. The excursions include visiting wildlife reserves and visit to the splendid tea gardens. The river cruise resembles a floating hotel where you can enjoy eating delicious food after sipping some best quality liquor. The cruises are normally operated between September and April. Store the memories of your visit in the form of some beautiful Brahmaputra river pictures. Assam the north Indian state of India is popular worldwide for best quality tea, silk, variety of plant, animal life and its incredible wildlife sanctuaries. Some of the rare and diminishing animal species are flourishing in these protected areas. 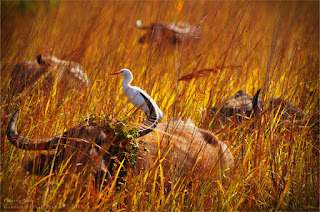 The state has become increasingly popular among worldwide tourists as the ace “Wildlife Tourism” center of India. It is already honored with two of its World Heritage sites Kaziranga and Manas which attract hordes of tourists throughout the year. Pobitora Wildlife Sanctuary near Guwahati has made a record in increasing the number of one horned Rhinos which were on the way of getting diminished. This land with high rainfall and blessed with mighty rivers like Brahmaputra and its tributaries make the region fertile, with rich forests ranging from incredible grasslands, deciduous forests, wetlands and wide spread jungles of Sal and Bamboo. This large diversity in its type of regions makes Assam the largest shelter for a great variety of flora and fauna. 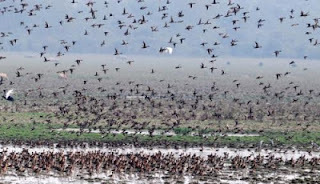 The wildlife sanctuaries and the protected zones of the state provide a beautiful atmosphere for incredible birdlife which is concentrated around its wet lands. Among the many national parks and wildlife sanctuaries Pobitora wildlife Sanctuary is located in the Mariagaon district of Assam. 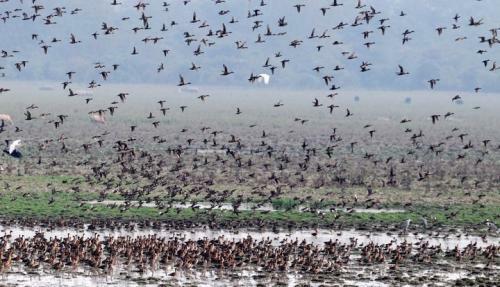 This wildlife reserve is located just thirty km from Guwahati the major and important city of Assam. This Park is spread on huge forty sq. km plot of land in which around sixteen square km are reserved specially for creating a rhino habitat spread on the plains and a hillock. 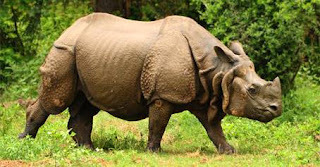 A Rhino breeding farm at this reserve is the major attraction which runs a breeding program called Indian Rhino vision 2020, which initially helped in restoring the fast diminishing number of one horned Rhinos of the region. Gradually the success story reaching its heights has made the area overpopulated by the Rhinos. Other attractions near Pobitora are Haduk Hanging Bridge and Garanga Beel which is a beautiful pond. Pobitora National Park, Guwahati can be explored on elephant backs or by the fascinating jeep safaris which take you to the interiors in the natural habitat of the animals. 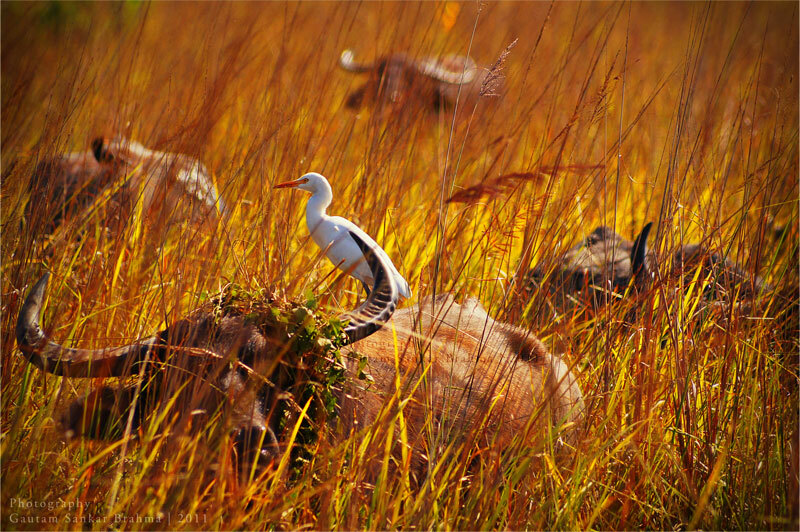 These safaris are best means of viewing some of the animals like leopard, wild bear, wild cats and Asian buffalo. There is an opportunity to view some of the incredible bird species out of total two hundred migratory birds available at the reserve. The weather of Guwahati is moderate with warm summers and cool breezy winters. Heavy rains are observed from June to October. November to March is supposed as the best period to visit Pobitora wildlife reserves, as it offers a moderate climate and many interesting festivals of the region like Bihus, Magh and Bhogali bihu. Pobiitora can be easily approached by road from Guwahati. While travelling from Kaziranga to Guwahati, Pobitora can be reached by taking road to Mayang. Accommodations are available at a resort inside the sanctuary.